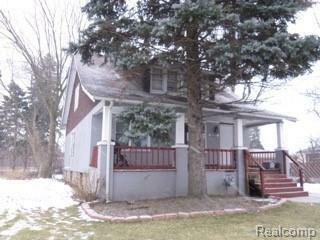 Here's your chance to own a spacious two-story, four-bedroom home on Detroit's east side. Don't waste your income tax refund. Buy this property now and be in your OWN place before summer. Ideal for investors or for a growing family just starting out and willing to contribute some TLC. Hurry before this one is gone. Conveniently located near downtown and Macomb County. Full bathrooms on each level, nice size garage and next to an empty lot. Sold as-in. Interior showings on Sundays only and prospective buyers must be accompanied by a licensed real estate agent.